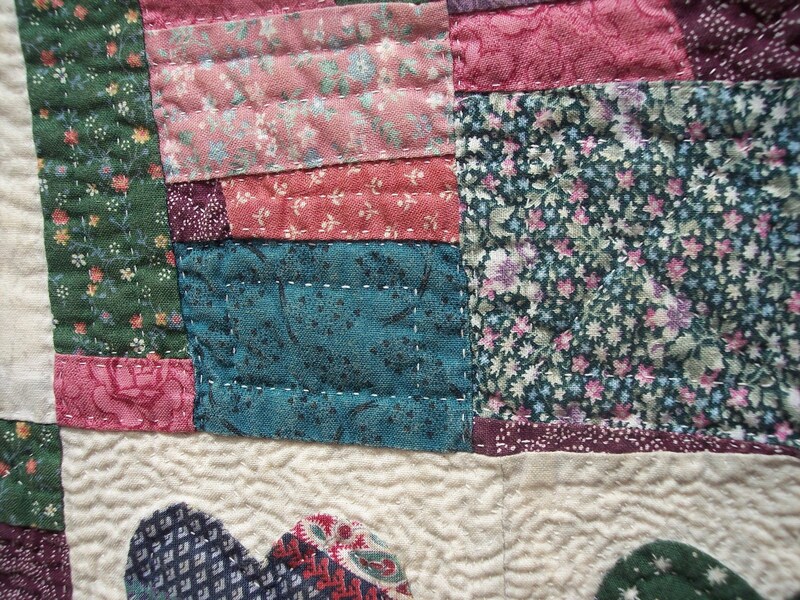 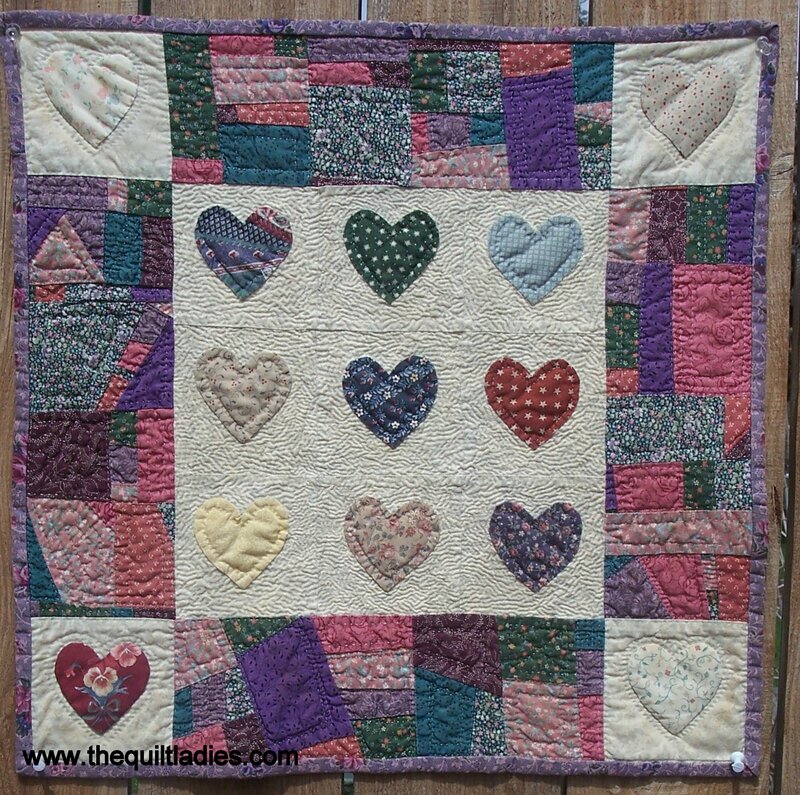 The Quilt Ladies: Heart Quilt Machine Pieced and Hand Applique, Hand Quilted. Heart Quilt Machine Pieced and Hand Applique, Hand Quilted. 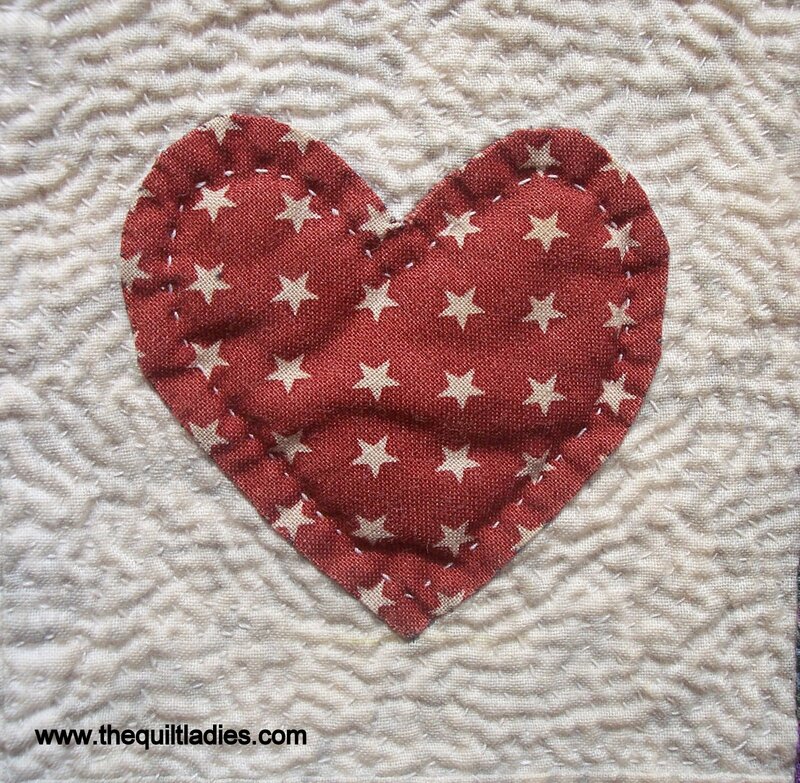 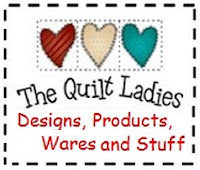 I love applique and I spent many a day on a bleacher or in the car waiting for the boys to finish a practice appliqueing. 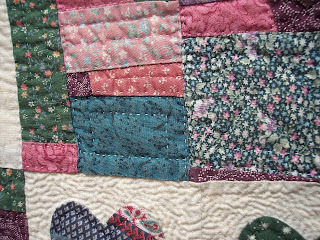 This is one for the first, hand appliqued and hand quilted. 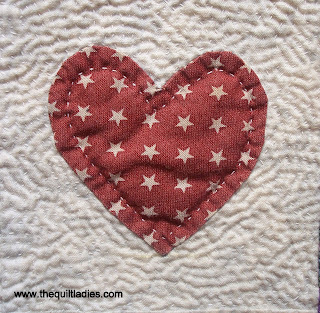 Hearts are on the first things I learned to applique. 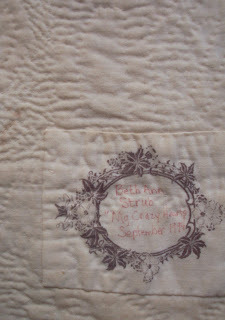 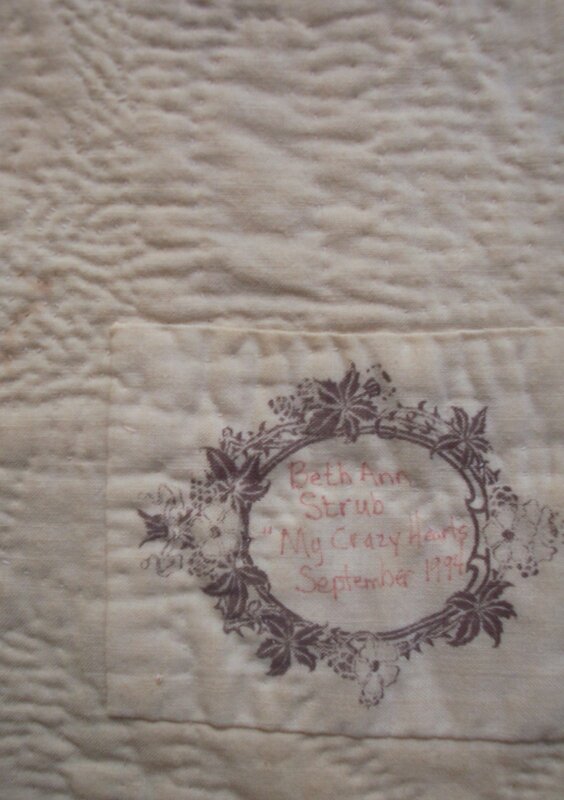 The back for the Quilt .